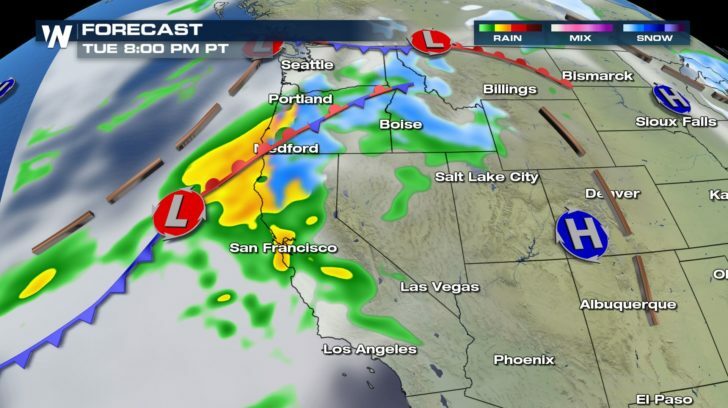 Instead of soaking up the sunshine, Californians and many throughout the western United States should brace for rain and snow. 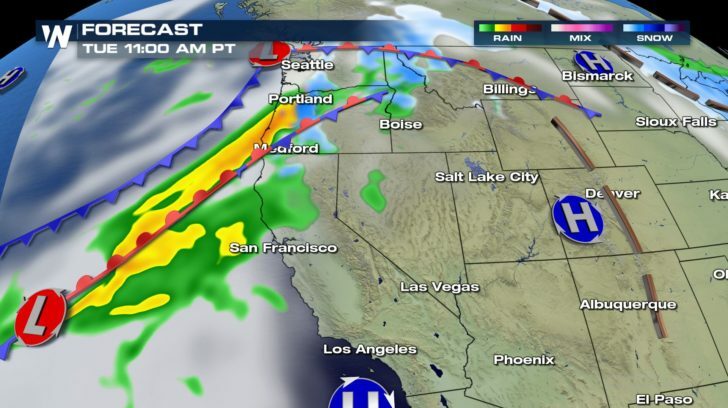 What’s known as the “Pineapple Express” will keep this part of the country active through the middle of the week. 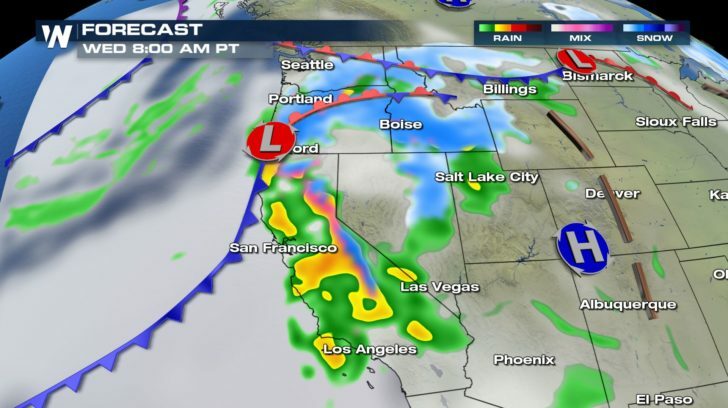 The Pineapple Express is defined as a strong “atmospheric river” that transports tropical moisture originating from near Hawaii to the West Coast. 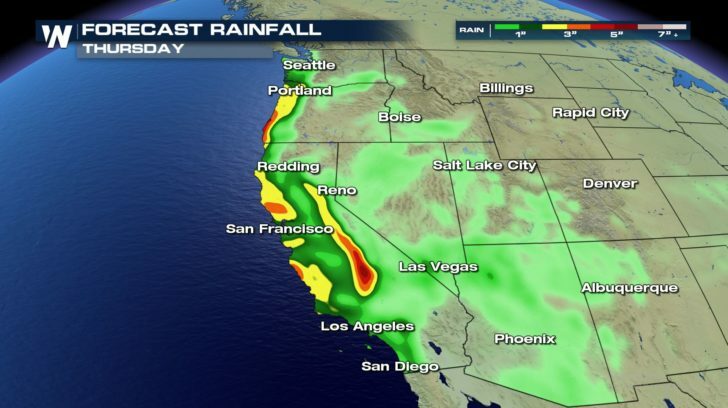 According to the National Oceanic and Atmospheric Association, an atmospheric river is a relatively long, narrow region in the atmosphere—like a river in the sky—that transports most of the water vapor outside of the tropics. This column of vapor moves with the weather, carrying an amount of moisture roughly equal to the average flow of water at the mouth of the Mississippi River. That’s a lot! When an atmospheric river makes landfall, it often releases this water vapor in the form of rain or snow. 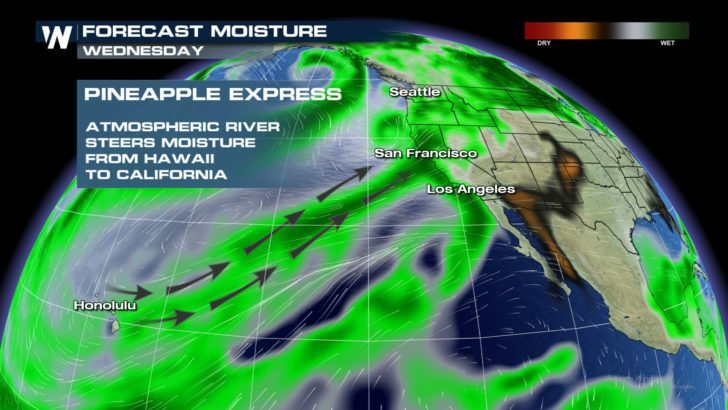 The Pineapple Express is a well-known example of a strong atmospheric river. 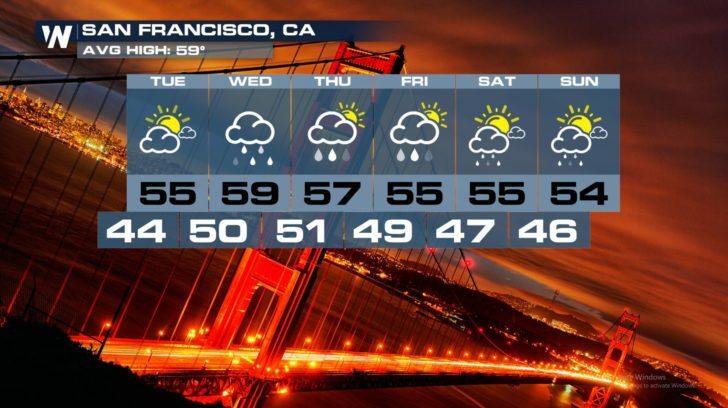 This setup has been known to bring extreme rainfall and flooding, inducing mudslides and disrupting travel. In the past it has also caused catastrophic damage to life and property. It is important to note that not all atmospheric rivers cause damage. 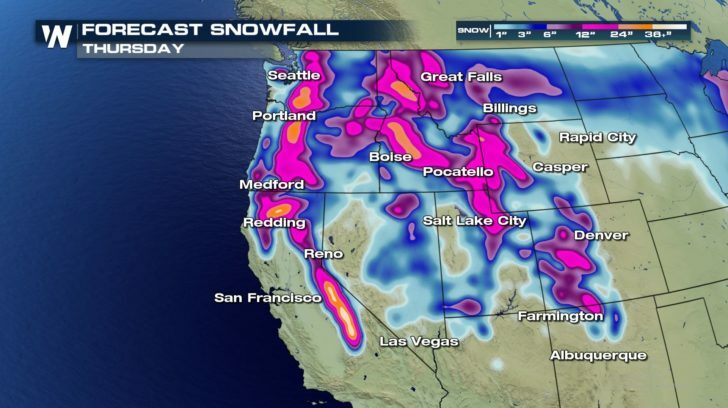 Most are weak systems that often provide beneficial rain and snow crucial to the water supply out West. Atmospheric rivers—including the Pineapple Express—are key features in the global water cycle and are closely tied to both water supply and flood risks. 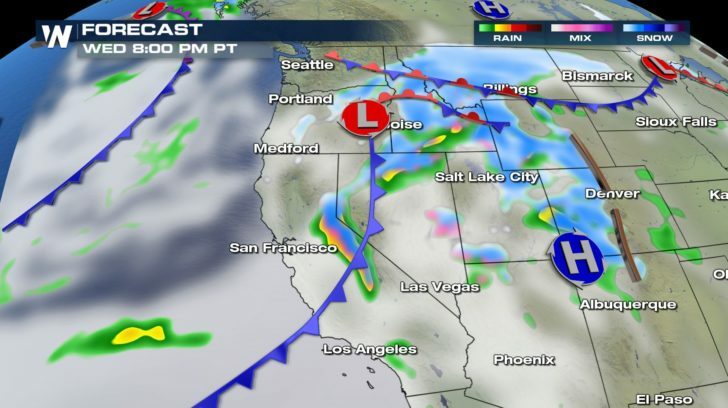 Late Tuesday and Wednesday, the risk for heavy rain and snow will impact parts of the West. 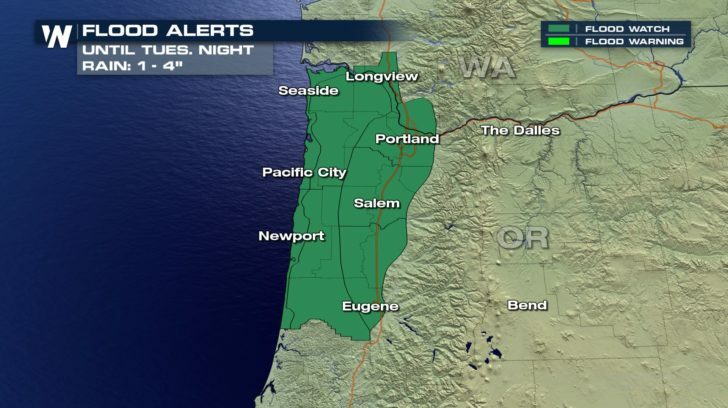 The precipitation will first move into the coastal states and eventually spread inland. 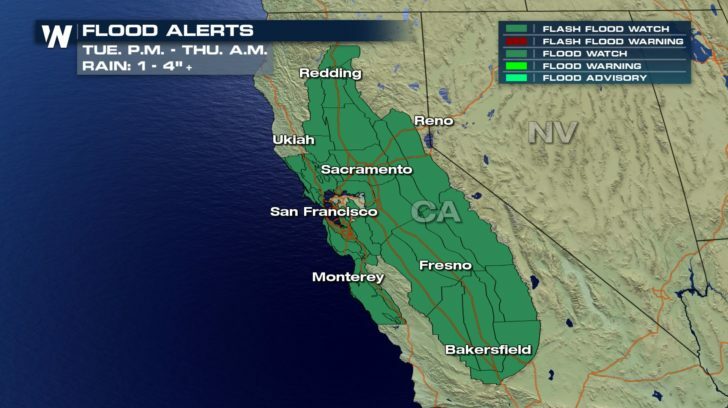 Rainfall will accumulate in inches in California and Oregon, with lesser amounts east of there. Snowfall, on the other hand, will be measured in feet in many mountain ranges. These include the Sierra Nevada, Cascades, and Rockies. 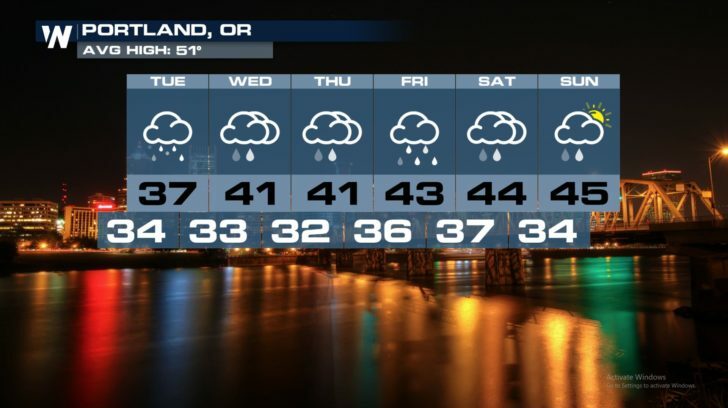 Looking ahead, the overall weather pattern will remain unsettled into the weekend throughout the region. 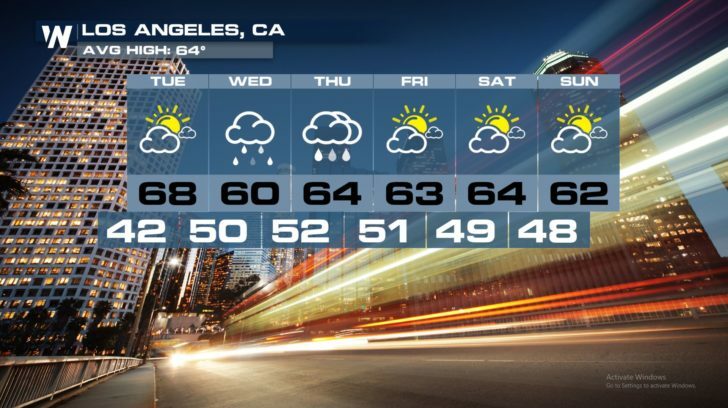 Be sure to follow WeatherNation on Facebook and Twitter for the latest forecast updates.